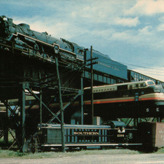 Harrison and Lear, Inc. was formed by decorated combat veterans, Jefferson C. Harrison and Robert H. Lear, in September 1953. 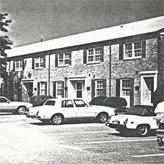 Our founders formed the company to meet postwar housing demands on the Peninsula and in Hampton Roads. Both then as now, the Hampton Roads real estate market requires imagination, vigor and boldness to create vibrant communities' and places. 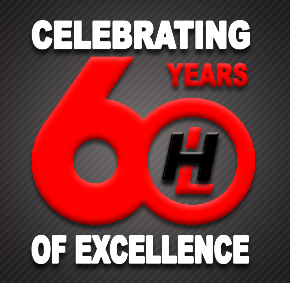 Over our wonderful 60 year history Harrison & Lear, Inc. has matured to be a full-service real estate company. The depth and experience of its staff will continue to serve Harrison & Lear customers faithfully as each department expands with the growth of Hampton Roads. 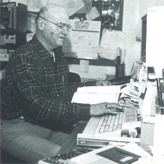 In July 1980 Mr. Thomas T. Thompson was elected President of Harrison and Lear, Inc. Mr. Thompson was subsequently elected Chairman of the Board in April of 1986 upon Mr. Harrison's retirement. 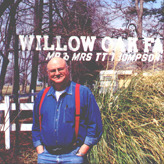 The company has flourished under the leadership of Mr. Thompson since July, 1980. The President and Director of Property Management of the company is Mr. Robert M. Sherman, III, CPM. Mr. Sherman was elected President in January of 2000. 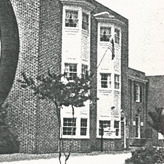 Harrison and Lear's Residential Sales Department was formed in 1953 as Harrison and Lear's flagship department. Over the years the Department listed and sold thousands of units of new construction and resale homes in subdivisions throughout Hampton Roads. In recent year Harrison and Lear's Residential Sales Department merged with Coldwell Banker Professional Realtors to form the 8th largest residential sales company in the Hampton Roads region. Harrison and Lear, Inc. retains 25% ownership in Coldwell Banker Professional Realtors. The Development Department was formed in 1964 to find, acquire and develop property. Over the last 49 years the Investment and Development departments have formed 25 partnerships and corporations with approximately 591 investors. 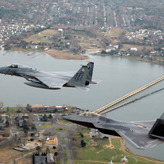 These partnerships have purchased and developed over 3,000 acres in residential subdivisions, multi-family communities, office buildings, an industrial park and a shopping center on the Peninsula. The Development Department has been capably led for six years by our Vice President of Development, Linda Ellis. Our Vice President of Acquisitions, Jonathan Skinner, is leading the Acquisitions department forward with ambitious goals for expansion in 2013 and beyond. Ms. Ellis and Mr. Skinner are collaborating extensively to insure that Harrison and Lear meets its goals. 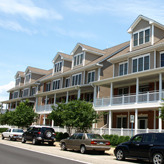 The Property Management Department was formed in June 1965 to provide property management services to residential, commercial, and retail property owners. These management services include all phases of leasing, maintenance, administration, and accounting. The Director is charged with the overall operation of the department including supervising the department, pursuing new management accounts, and financing and developing properties. The Managers, along with their assistants, are responsible for 863 apartment units, 2,539 single family detached, condominium & townhome units, 125 individual rental homes and 42,400 square feet in commercial office property. Harrison & Lear is one of the largest managers of property management associations in the area. We manage condominium associations, property owner associations in single family and mixed communities, and townhome owner associations. We are normally employed by the association's board of directors and charged with collecting assessments from the owners, maintenance of common areas and advising the board on the issues encountered in operating the association for the benefit of the members. Additionally, Harrison and Lear excels in financial and accounting management on behalf of its many clients.